Whilst Luke is very good at doing his homework his handwriting is atrocious, he just doesn't care what his writing looks like as he is more concerned with getting the homework finished as quickly as possible, rather than what it looks like. Since he started doing cursive writing I think it has got worse, so with him starting high school in September I have been trying to encourage him to take more care with his writing. I was thinking of ordering some handwriting pencils but with Christmas I hadn't quite got round to it so I was very pleased when Write Size sent us some of their pencils to review as they were just what Luke needs! Write Size say "we buy the right size shoes, the right size uniform and bags for our children, yet the most important tool in their pencil case is the wrong size for their hands making learning and perfecting the art of writing harder, with Write Size pencils they will have better control and better results." After reading this statement on Write Sizes's website I know exactly where they are coming from, it's not something I have had thought about before but they really have hit the nail on the head. I have watched many Cub Scouts over the years struggle with the simple task of holding a pencil and now I can see why! The pencils are available in three different sizes and are designed with smaller hands in mind. 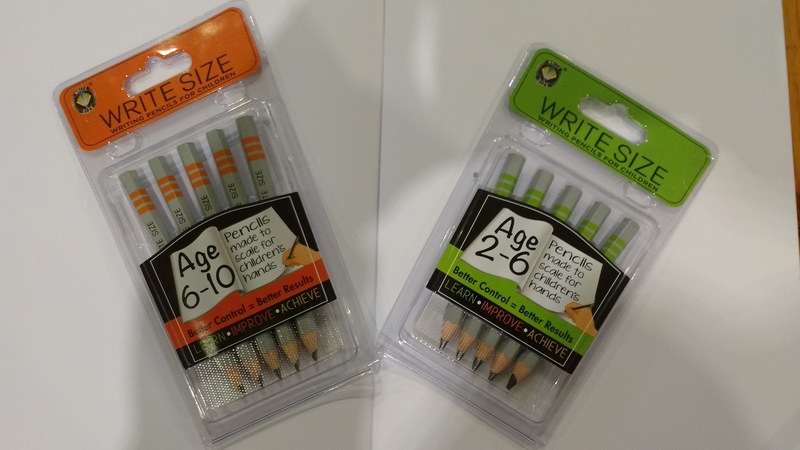 Ages 2-6 – These pencils are engineered to perfectly fit 2-6 year-old hands. Children can learn to grip the pencil correctly, whilst developing control and letter formation. Aged 6-10 – These pencils are less chunky than the age 2-6 pencils and help improve confidence in their writing, easing the strain on a child’s whilst increasing ability in quality cursive. Aged 10+ – Ensuring clearer handwriting to deliver good grades, by making writing easier to read for teachers, exam invigilators and peers. 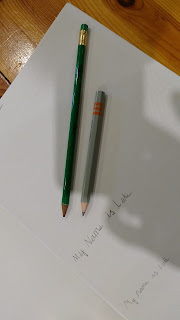 We received a pack of the age 2-6 pencils and the age 6-10 and after a bit of persuasion (Luke wasn't impressed at having to write anything in the school holidays!) Luke sat down and tried out the pencils. 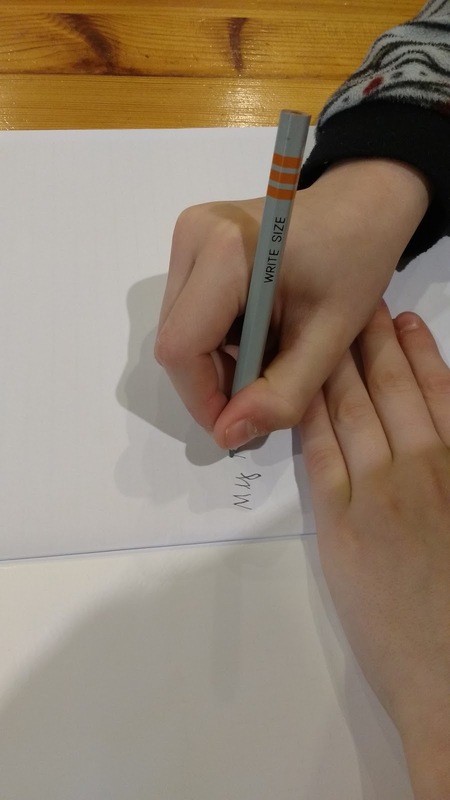 He said that the pencils are much easier to hold and aren't top heavy like a normal sized pencil which make it more difficult to write. The pencils were easy to write with and Luke said they didn't snap as much as the pencil he uses at school does. He said he prefers theses pencils and will be taking them to school with him next week. I asked my niece Daisy (aged 6) to try out the smaller pencils, she enjoys writing and drawing and was much easier to persuade to do some writing than Luke had been. She agreed with Luke that they are easier to hold and write with and was really excited about having some new pencils. The pencils cost £3.99 for a pack of 5 and I think they are well worth the money.